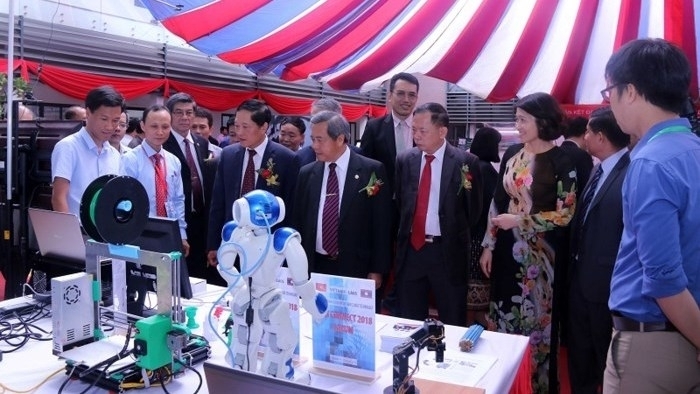 With a total of 142 technologies on display during two days, the Vietnam – Laos Forum on Technology Transfer (Vietnam – Laos TechConnect) will help to strengthen cooperation and technology transfer between organizations and businesses from the two countries. Vietnamese Deputy Minister of Science and Technology (MST), Tran Van Tung, made the statement while addressing the opening ceremony of the Vietnam – Laos TechConnect in Vientiane, on August 9. The forum also aimed to deepen the cooperation between the Vietnamese and Lao Ministries of Science Technology, as well as boosting exchange and coordination between scientists and businesses from the two countries, he added. Lao Minister of Science and Technology, Boviengkham Vongdara, stressed that the forum is the first of its kind to be held in order to facilitate the strategic goal of developing science and technology in the two countries, thereby opening up new opportunities for the participants to exchange information and set up cooperative ties. At the opening ceremony, six cooperation agreements were signed among universities and businesses from Vietnam and Laos. On the occasion, a delegation from the MST presented VND150 million to people who have been affected by the collapse of the Xepian-Xe Nam Noy hydropower dam in the Lao province of Attapeu.